Donald “Jack” Burd, 92 of Traverse City, died Thursday, March 1, 2018. He was born on August 29, 1925 in Lansing, MI the son of Frank and Jessie (Heaslip) Burd. 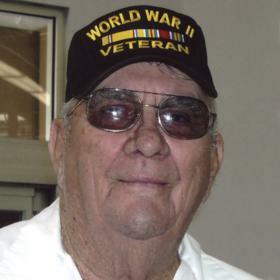 Jack joined the military at the age of 17 and served in the US Navy and US Coast Guard. After his retirement from military service he returned home and became a Forklift driver and worked in construction. He was a life member of the Cherryland VFW Post #2780, American Military League and the Mesick AMVETS. He was a former member of the American Legion Post in Arizona. 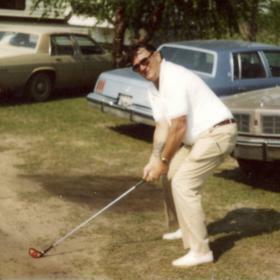 Jack enjoyed golfing, cooking at the veteran’s posts and loved to ride his moped from Traverse City and back to see his step-son in Mancelona. Jack and Dee spent many years wintering in Tucson and Lake Havasu, Arizona. He was known for playing Santa at many veterans’ events. Jack is survived by his wife, Dollena “Dee” (Gordon) Burd; daughters, Suzanne Robertson and Carolyn Burd; 9 grandchildren; 14 great-grandchildren and 1 great-great-grandchild; step-children, Penny Kirt, Benny (Billie) Hall and Mike (Connie) Hall. He is preceded in death by his parents, Frank and Jessie Burd, 1 grandchild and 1 great-grandchild, brothers; sisters and step-son in law, Stanley “Poncho” Kirt. The family would like to thank the staff at the Medilodge GTC, formerly Birchwood and Hospice of Michigan for the compassionate care they gave Jack. Memorial Services will be held 11:00 am Friday, March 9, 2018 at Life Story Funeral Home, Traverse City; where the family will greet friends starting at 10 am. Military honors will be presented by the Cherryland VFW Post 2780 and the US Navy and US Coast Guard. The family’s preference is to have memorial contributions made to the Down Syndrome Association of Northwest Michigan, Leukemia and Lymphoma Society, New York and ALS Association, Michigan Chapter, Grand Rapids. Please visit www.lifestorytc.com to sign the guest book and share your thoughts and memories with the family.